Beautiful river edge apartment in a gated complex built on 3 level with stunning views of the boat harbour, Taupo town and the lake from each level of the apartment. The entrance is on the middle floor with a Queen bedroom ( en-suite ) with river views and laundry. Go upstairs to the main living area- open plan lounge, kitchen and dining and the master bedroom with en-suite. On the lower level is a spacious bedroom with en-suite which leads out onto a patio and the walkway along the front of the property. The complex is well situated only a few minutes walk to shops restaurants and bars and the boat harbour is only a minute away. The complex has a well fenced communal *heated pool and BBQ area. All in all a great place for a get away weekend with friends! This property is also equipped with WiFi internet and linen. Pool is heated during summer months only, children must be monitored at all times. An awesome experience and stay in these apartments. The apartment was roomy and we didn't feel like we were in each others' pockets or personal spaces. There were great views, and the bonus of this property was having a swimming pool! As a family we enjoyed our stay here. We would recommend and would definitely be back again! Good sized property in a great location. I would definitely book again for future visits to Taupo. 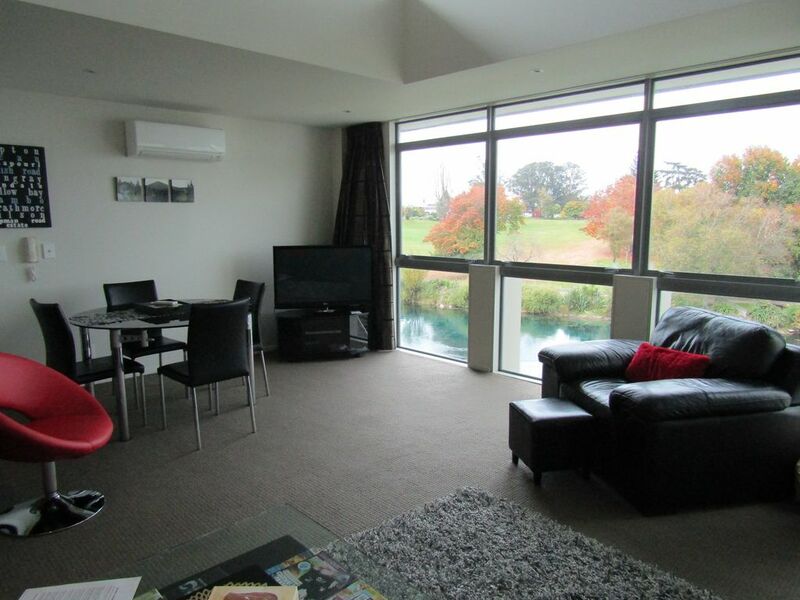 Beautiful apartment and had everything we needed during our stay in Taupo. Would recommend to other family and friends. A nice place to stay, would book again. Great location. Over three levels so lots of stairs. Very comfortable for 3 couples.